My name is Chellie and I am mum to 3 Bichon Frise; Bonnie, Lacey Lou & Penny and a wee BichonXMaltese named Gypsy, they all have a very friendly kitty brother named Oscar. I support a lot of Dog rescues in Ireland and overseas as it is very close to my heart as my own 4 girls are rescued from puppyfarms, every day I see the effect that had on them. I am very passionate about all pets especially my own Best Friends I have completed my training in Animal Welfare and Dog Grooming. 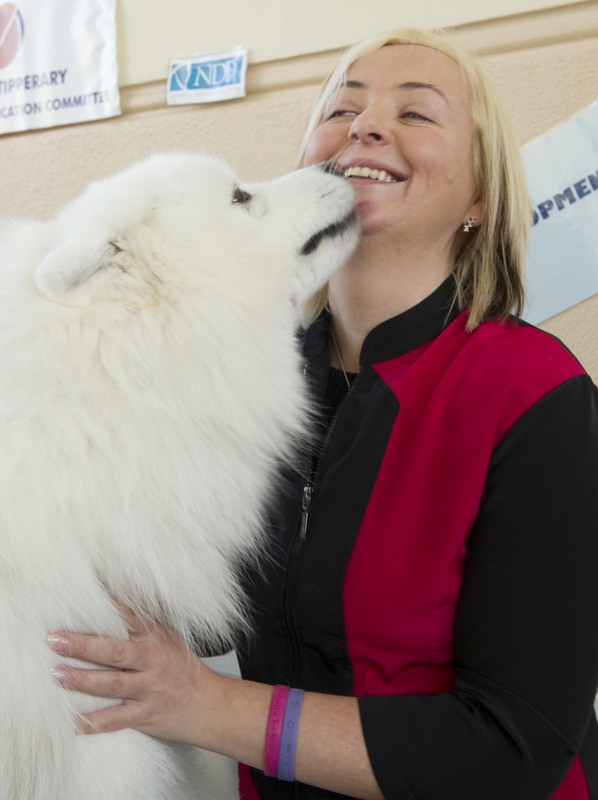 I am also a member of the Irish Professional Dog Groomers Association (IPDGA) and proud to be a Canine First Aid Responder. I decided to start my own business and what better way to start than with something that is very close to my heart. 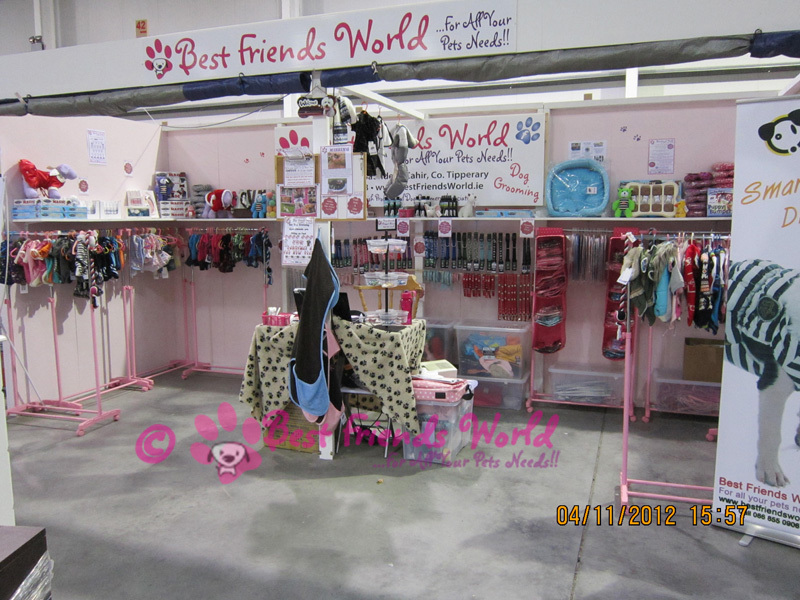 On the 18th March 2011 I set up Best Friends World; a high quality pet store selling Dog Clothes and Accessories. I am no longer taking on dogs for pampers but if you need a recommendation please send me a text on 087 6057533 during normal working hours. Where it all started at a local weekly indoor market, pictured below. Why not browse through my pet products … I have some really cute items with a lot more to come! If your desired pet product is not in stock I can order it for you, so if something catches your fancy please email Customer Service below or leave a comment on my blog. So whether it’s for friends or family, Christmas or birthdays or perhaps just as a special treat for your own Best Friend, I have you covered. I also ship worldwide so my pet products are available to Best Friends all over the world! What I offer is an enjoyable visit to my online Doggie Boutique for your dog!